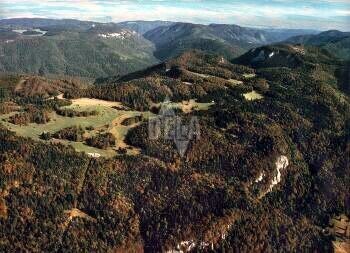 A large plateau situated in the southern part of the Slovak Paradise. with a large number of superficial karst formations surrounded by Suchý vrch (Dry Hill), Červená skala (Red Rock) hill, Holý kameň (Naked Rock) hill and Gačovská skala (Gačovská Rock) hill. It consists of many mountain meadows and veldts with small forests and groves used by little game as a shelter. Northern slopes, densely covered by forest, successively descend into valleys and thus create the end of the Biely potok (White Creek) Valley. Southern slopes steeply fall into the Hnilec Valley. In Geravy, there is a net of cross-country ski runs. The XI. Assembly of the SNP (Slovak National Uprising) tourists took place in this location in 1964.